Recently, I had given you my thoughts on the Samsung Galaxy Tab S4, and while I still had it in-house, I received the Google Pixel Slate. I haven't had too much time with the Slate, but I thought while there was some overlap, I'd give you my quick thoughts on the differences between the 2. So, first up, they're both expensive. Both offer A LOT to their user, just in different ways. It really takes understanding your own personal use and what you want out of it. 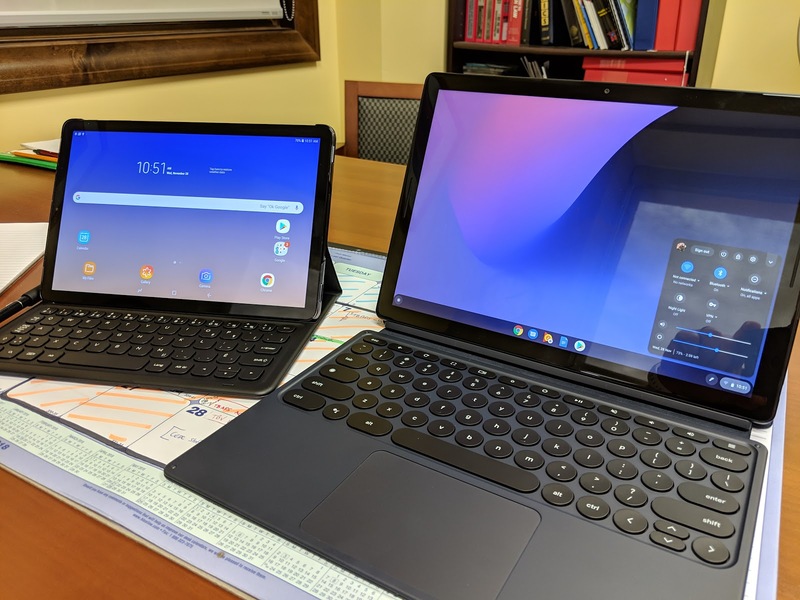 Essentially, it boils down to the fact that the Slate feels like a laptop/chromebook downed a bit to feel like a tablet. Whereas the Tab is a tablet upped a bit to feel like a chromebook. If you're choosing between either of these, you're going to spend a fair bit of money, so you want to make sure it aligns with your own purposes.